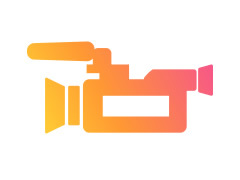 Film & Stage Crew Jobs>Post Production & Editing>We are Looking for the Best Sound and Vision Editors in Melbourne. We are Looking for the Best Sound and Vision Editors in Melbourne. Antiques With Attitude is a very successful TV program about the passions of collectors, the collections they put together, history, nostalgia and even a Mystery Object. We have 35 eps in the can spread over three seasons and have aired over 200 times on C31 (Melb), C44 (Adelaide), Dunedin TV (NZ) and Foxtel Aurora. We have filmed a Pilot for the next step but need a hand at whipping it into the best Pilot of all time. This is a voluntary position but comes with a few perks such as the odd pub lunch, full credit and the mother of all references. No rehearsal. As most of it has been filmed there are no specific production dates atm.